L.A.’s loss was Nashville’s gain. 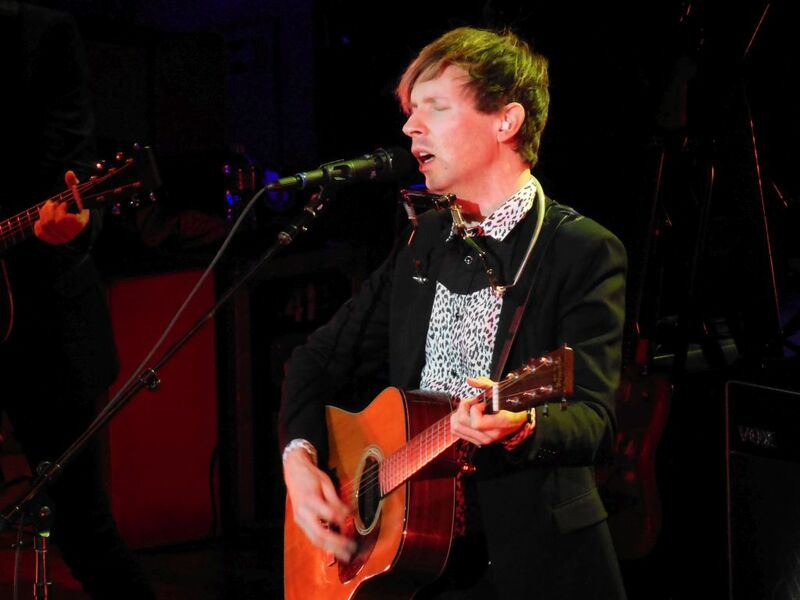 It seems that the closing of his favorite studio led Beck to write and record his latest record in Nashville. 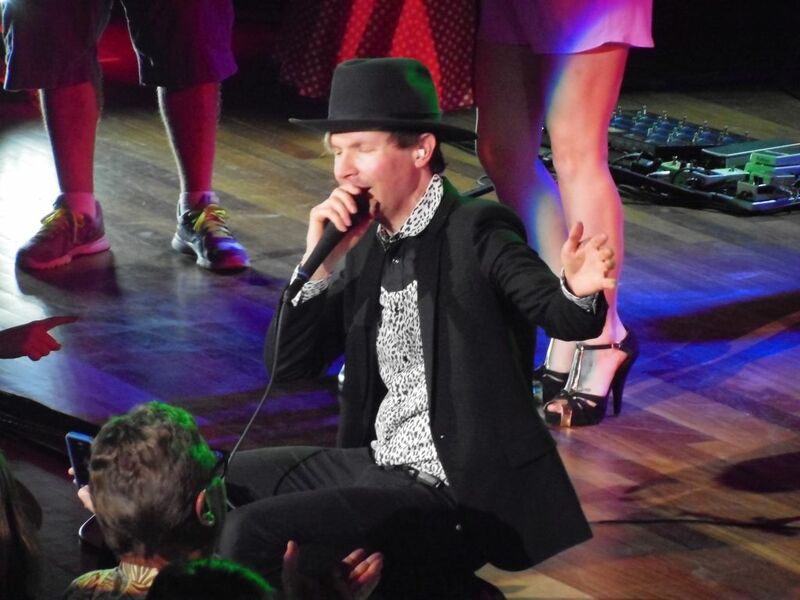 It’s a safe assumption that this migration influenced his long overdue return to the Music City concert stage. The L.A. native had not played here since a 2006 show at the now defunct City Hall in the Gulch (current site of Urban Outfitters). 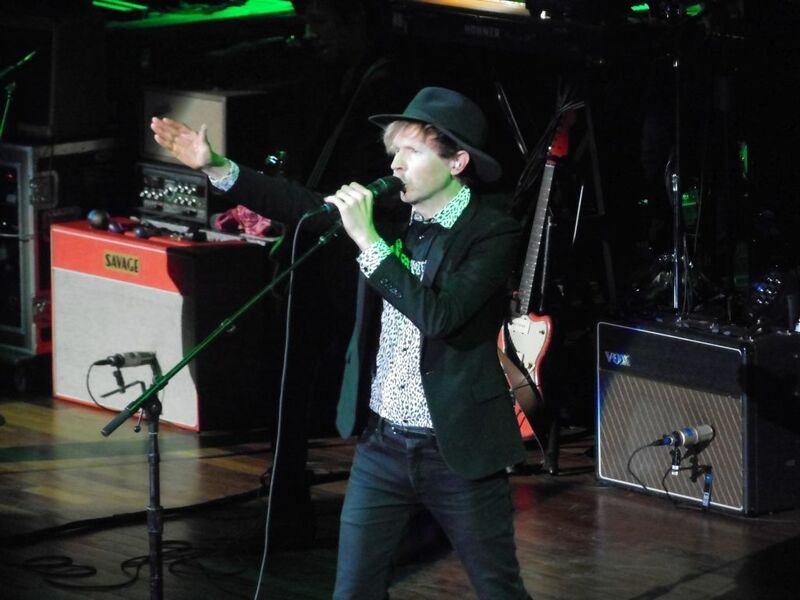 Prior to that, Beck last played the Ryman in 1997. 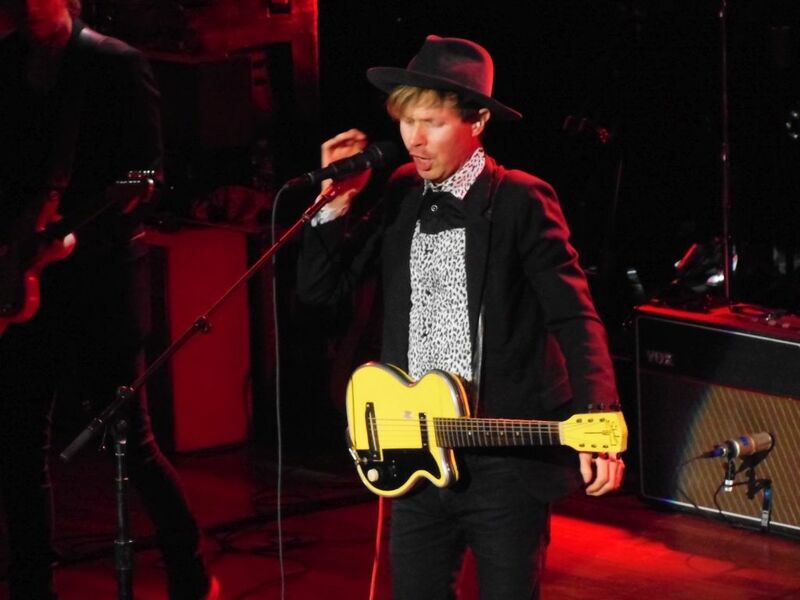 Taking a slight detour on the first of his two-night stand, Beck revamped his set list and “took it slow” for the first seven numbers before changing gears with his usual raucous opener, “Devil’s Haircut.” No one minded one bit since the perfect Ryman acoustics well-suited the lush acoustic guitar sounds and vocal harmonies of his softer gentler side. These songs all came from his gorgeous new record Morning Phase and its 2002 soft sound predecessor Sea Change. A bonus for pop music fans tonight was Jason Falkner and Roger Manning (founding members of Jellyfish) playing supporting roles. 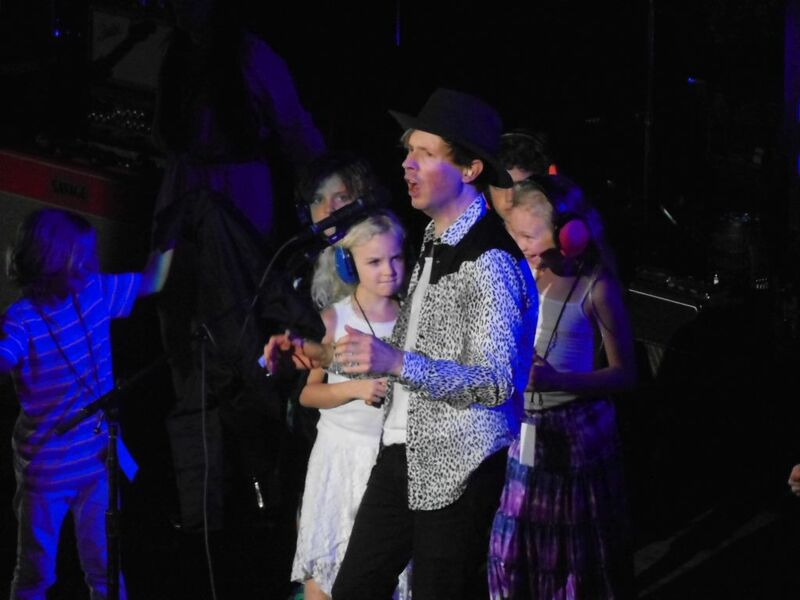 But nothing compared to the sight of watching Beck, a true master showman, shuffle his feet and drop to his knees on the Ryman stage. The wild closing performance of “Where It’s At” shook the rafters with a vengeance. Is Roger Manning chopped liver or sum’thin,? Missed that–time to make a quick edit. Thanks friend! Nope–it will serve as a reminder than I keep neglecting to better discover Jellyfish.